Even if you don’t use Highland Park Way hill in West Seattle, this morning’s slide might be affecting you – either through higher traffic volumes on roads including Roxbury, or possibly with a power outage, as we’ve heard the power is or was out at least as far south as the 9th/Roxbury intersection. 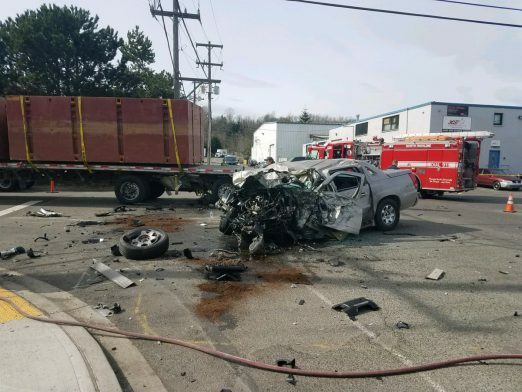 We have ongoing coverage on our partner site West Seattle Blog; the closure is expected to last at least through the morning commute, as downed lines are involved and that has to be rendered safe before any cleanup can begin. 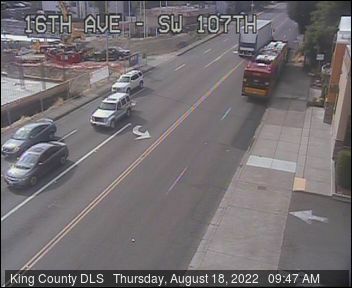 King County has issued a permit for fiber optic installation on 15th Avenue Southwest between Roxbury Street and 107th Avenue Southwest, moving east on 107th Avenue Southwest and then south along 12th Avenue Southwest to Southwest 114th Street in the White Center area. Most of this work will involve attaching fiber to existing utility poles, so traffic disruptions should be minimal with possible intermittent lane closures. 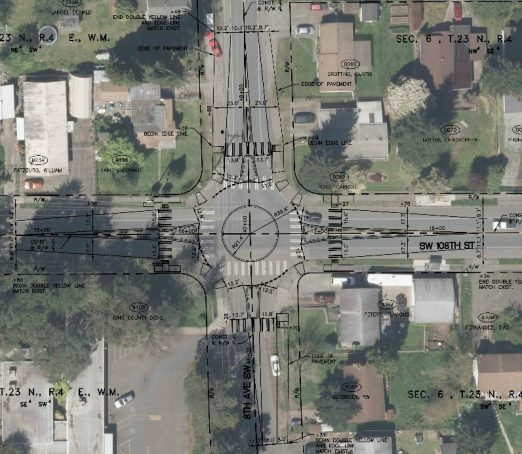 There is more extensive work being planned at the intersection of 15th Avenue Southwest and Roxbury that will involve 200 feet of underground installation taking up to five days, half in the city, half in King County. That more intensive work will require the closure of one southbound through lane on 15th Avenue Southwest north of Roxbury and a northbound left turn lane on 15th Avenue Southwest at Roxbury. Work is planned 9 am to 3 pm weekdays March 2 through March 6. Traffic control will be in place around the work zone. 1 PM: Also published on partner site West Seattle Blog: Thanks to Krista for the tip (with photo) about a tree down across eastbound Roxbury at 10th SW. As you can see in the photo she shared, King County Sheriff’s Office is on the scene. We are en route to see if cleanup is under way yet. 6:25 PM: It wasn’t cleared as of three hours ago, but when we went back to check a few minutes ago, it was off to the side, and traffic was back to normal. A project to make SW Roxbury safer is finally becoming reality, after White Center and West Seattle community leaders, including the North Highline Unincorporated Area Council and (just over the city-limit line, Westwood-Roxhill-Arbor Heights Community Council), joined forces to campaign for it. Seattle Department of Transportation is coming to Greenbridge tonight for the first of two meetings, and you’re invited to come speak out – help shape the project! 6:30 pm at Jim Wiley Community Center, 9800 8th SW.
8:20 PM: Seattle Fire is sending a “heavy rescue” response to Myers Way/Olson Place, which is the busy intersection at the east end of Roxbury atop the hill from/to Highway 509. We have a crew on the way and will update when we find out more. Northbound traffic on Delridge Way SW is now detoured at SW Roxbury Street. The change reverses the direction of the previous detour in phase five, between SW Roxbury and SW Henderson streets. The detour went into effect this afternoon and will remain until project completion, expected the end of this year. Southbound traffic along this stretch of Delridge Way SW will be maintained. · Reduce the possibility of someone driving in the wrong direction. The new detour will direct northbound Delridge Way Southwest traffic at Southwest Roxbury Street onto northbound 16th Avenue Southwest and then onto westbound Southwest Henderson Street to return to Delridge Way. This detour will remain in place until the project is complete at the end of the year. To ensure the safety of drivers and pedestrians and to allow enough space for the crews to conduct this work, curb-side parking on Delridge Way will be inaccessible between Southwest Henderson and Southwest Roxbury streets until project completion. 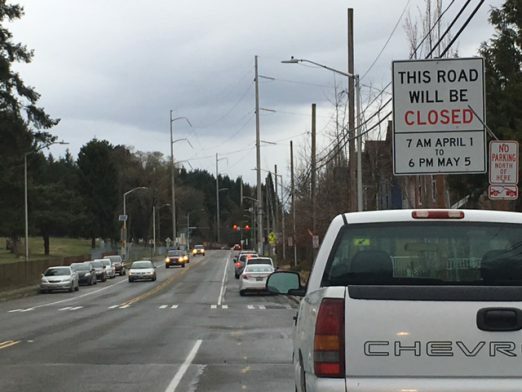 Tomorrow night, you can ask an SDOT rep about this during the White Center Chamber of Commerce‘s monthly evening mixer at 6 pm at Bahn 88, 9418 Delridge Way SW. 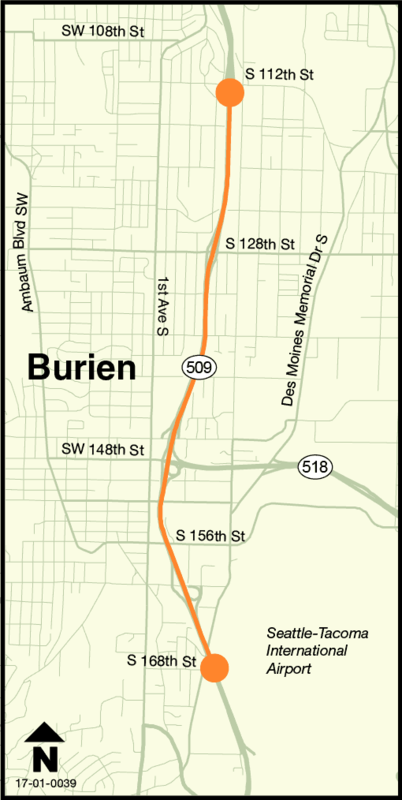 The Seattle Department of Transportation’s Delridge Way SW Paving Project enters its fifth and final phase on September 23, 2013. The project rebuilds much of the roadway from SW Henderson to SW Roxbury streets, installing new storm water detention pipes, upgrading curb ramps to ADA standards and adding bike facilities on the northern end. The project began January 10 and is expected to wrap up by the end of the year. To ensure the safety of drivers and pedestrians and to allow enough space for the crews to complete the work on Phase 5, between SW Henderson and Roxbury streets, on-street parking will be inaccessible. Also, southbound traffic will be detoured at SW Henderson St to 16th Avenue SW (see map). Currently crews are working to complete Phase 4, between SW Holden and Orchard streets. 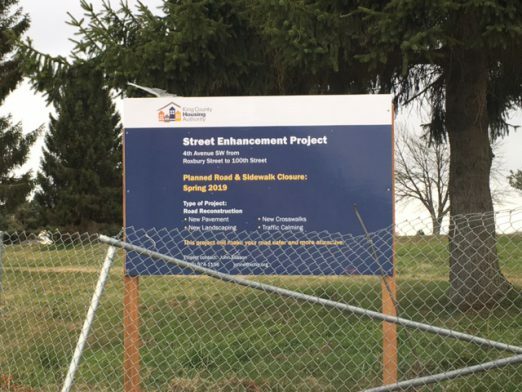 This includes rebuilding SW Orchard Street, between Sylvan Way SW and Delridge Way SW. Crews are constructing one side at a time, with SW Orchard Street closed to eastbound traffic through September 13 and to westbound traffic the following two weeks. Traffic is being detoured along Delridge Way SW and Sylvan Way SW. In Phase 4 these next two weeks, weather permitting, crews will also stripe Delridge Way SW between SW Holden and Myrtle streets. The markings reconfigure Delridge, between SW Kenyon and SW Myrtle streets, to accommodate new 6’ wide bike lanes. 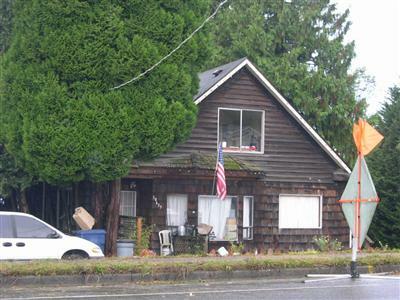 The southern portion of Delridge Way SW is an important West Seattle arterial that had deteriorated over time. Completion of this $6.7 million Bridging the Gap funded paving project provides a smoother roadway, greater pedestrian accessibility and a higher level of safety for all modes of travel while the new drainage detention pipes slow the rate of storm water flow into Longfellow Creek during periods of heavy rain.